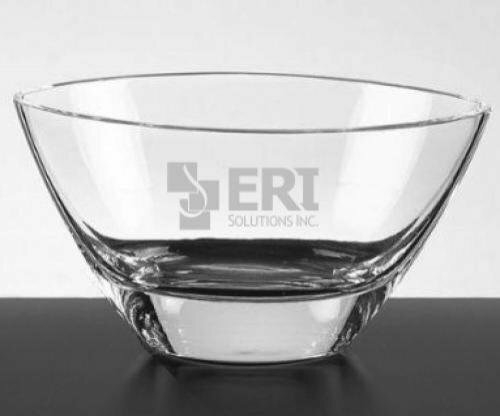 A clear glass oval bowl sandblasted with your information on the front. Individually boxed. 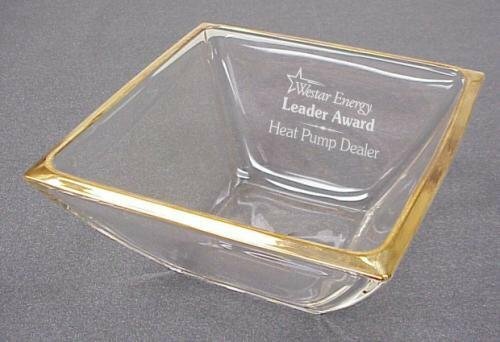 Imprint size is 2-1/4" x 3"
Award distinction with this laser engraved glass box. A clear choice to hold prized possessions at home or the office. Production lead time for this product is 5 days. This product has a maximum order quantity of 4. A square glass bowl with 24K gold on rim. Your text and/or simple graphic sandblasted on one side a frosted white. Price includes up to 10 words. Extra words 25¢ each. Production lead time for this award is 7 days. This award has a maximum order quantity of 4. 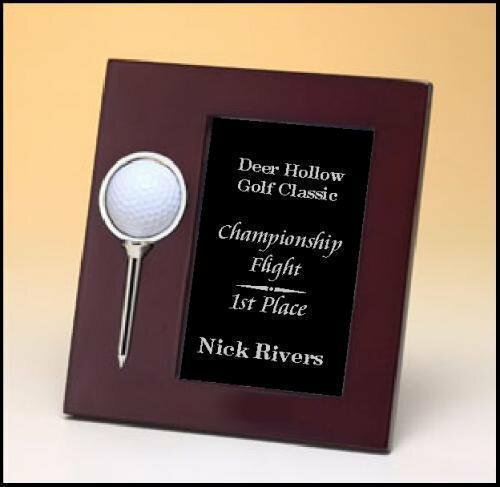 Top quality, high gloss rosewood-finish frame features a silver-tone tee with an actual spinning golf ball suspended through the frame. Easel back for table-top display. Par-fection. Individually gift boxed. 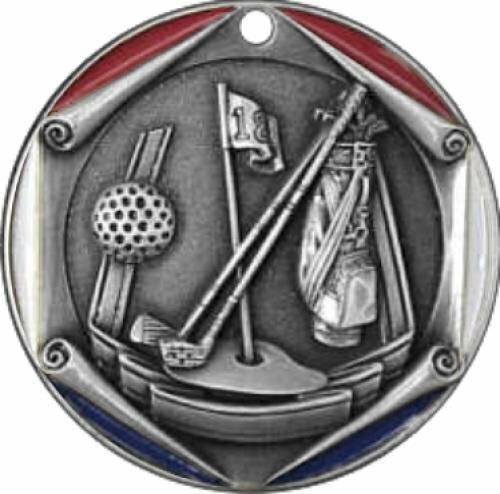 Golf medal with red, white and blue accents around edges. Many different ribbon colors to choose from. Production lead time for this award is 5 days. This award has a maximum order quantity of 16. 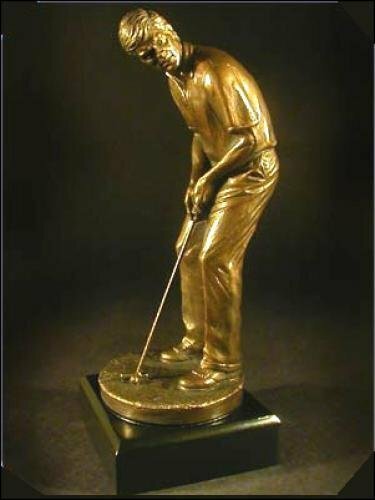 Male golf putter resin sculpture. Gold brass plate engraved with your text will be attached to front of base. Production lead time for this product is 5 days. This product has a maximum order quantity of 2. 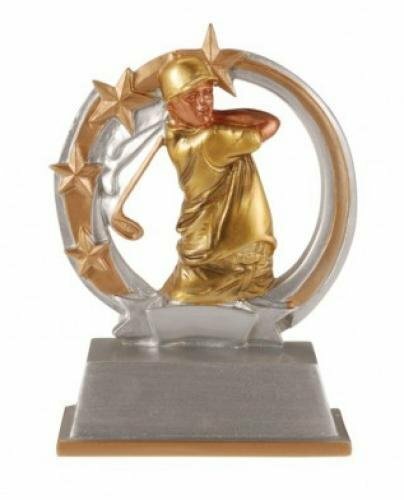 Male golf star resin award. Economical award can be used for a multitude of accomplishments; such as longest drive and closest to pin. Bulk packaged. Production lead time for this award is 5 days. This award has a maximum order quantity of 4. 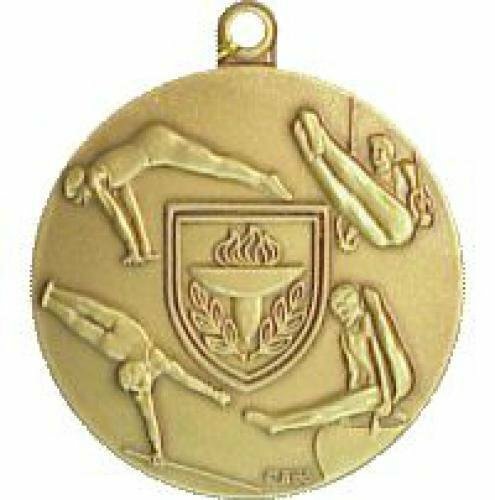 Male Gymnastics medal with high quality detail. Many different ribbon colors to choose from. Production lead time for this award is 5 days. This award has a maximum order quantity of 44. 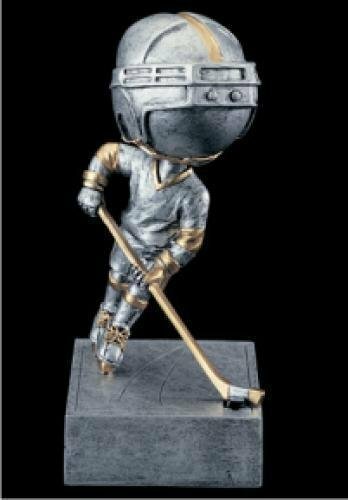 Hockey bobble head award. Infectious trophy fun. Production lead time for this trophy is 5 days. This trophy has a maximum order quantity of 6. 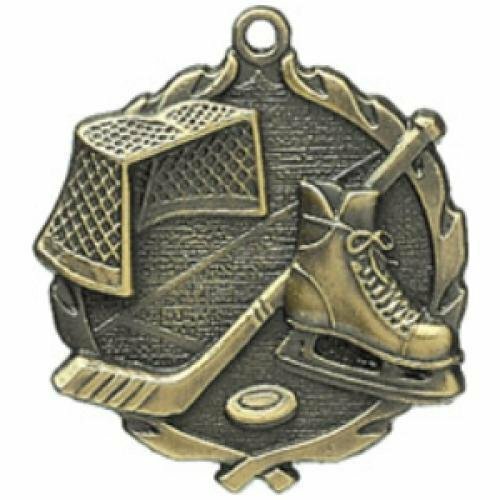 Ice Hockey medal in high relief detail. Many different ribbon colors to choose from.